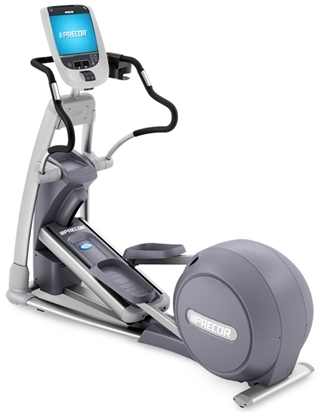 The Precor Elliptical will give you a well-rounded workout and help you reach your fitness goals with literally ZERO Impact whatsoever. 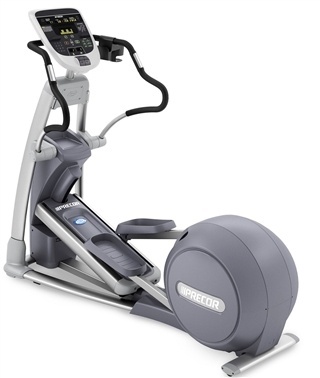 Elliptical fitness is known for extremely low impact, much like Precor’s Adaptive motion series (like the Precor amt 100i). However the EFX ellipticals stand apart by using crossramp technology and arm bars to stimulate your muscles groups in the upper and lower body. 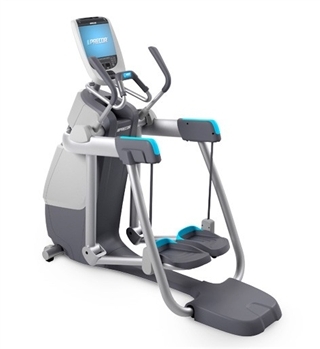 Precor has been in the fitness equipment business for more than 30 years and is a leading innovator of fitness products. 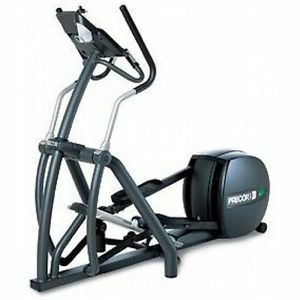 The first-ever elliptical machine was introduced by Precor in 1995. 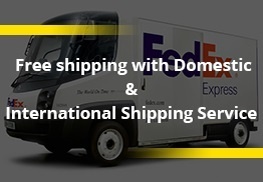 Their focus is always on innovative creation with a comfortable and smooth feel designed around the human body to create the best possible exercise options. 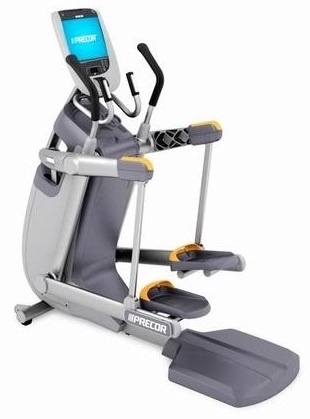 You can FEEL the difference on a Precor Elliptical. They are expertly engineered with solid construction to withstand repetitive use whether in a gym setting or your own living room. 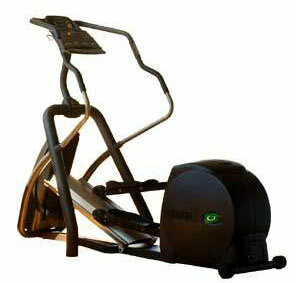 Elliptical fitness trainers are one of the most popular pieces of gym equipment for a health club or home gym today. 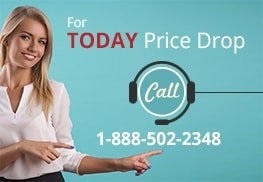 Contact Gym Pros for the lowest price on all fitness ellipticals at 888-502-2348. 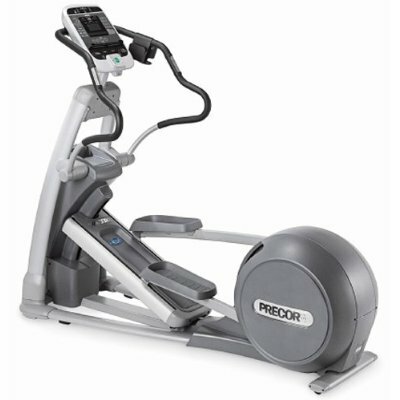 Precor EFX 883 Commercial Elliptical.Call Now for Lowest Pricing Guaranteed! Elliptical machines provide an effective workout with little joint impact. 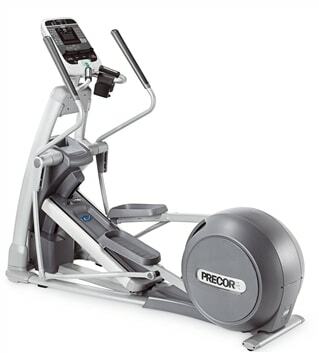 Precor is truly the pioneer of the elliptical machine and has built them with you in mind. 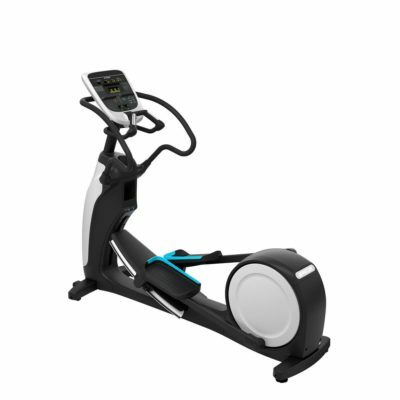 The elliptical mimics the natural rhythm of your stride to provide smooth movement throughout the range of motion of the machine. This helps eliminate awkward body movements that lead to injuries or keep you from enjoying your workouts. Many of Precor’s models allow you to adjust the stride length, angle and intensity to provide endless variety for your workouts. You can even stride backwards on most models. There are a number of models to choose from and choosing the right one for you depends on your needs, fitness goals and budget. All models are designed to take up as little floor space as possible and are low maintenance. They feature 20 resistance levels that provide a wide range of intensities to make your workouts effective. Most models provide five to ten pre-set programs so you can jump on and get started immediately. If you want even more variety, the EFX 576i Experience model has 15 pre-set programs so you’ll never be bored. Many of the models are compatible with Polar Heart Rate monitors or have heart rate sensors built in. The Precor EFX 556 V1 and EFX 556 V3 are basic models that are considered one of the best on the market and will fit any budget. They have the upper body arm movement, several pre-set programs, 20 resistance levels and fixed stride lengths and ramp angles so there’s nothing to fiddle with or worry about before you start your workout. If you’re a data nut and like to track lots of information about your workouts, the AMT 100i model is for you. 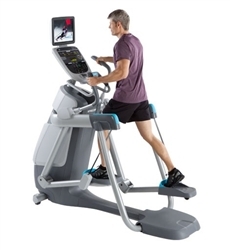 Not only can you instantly adjust stride length without having to get off the machine or push lots of buttons, you can use the Stride Dial to monitor your motion in real time and track the muscles your working. You can also monitor your heart rate for the optimum zone and stay on track with your goals. The EFX 546i Experience Series has an optional fully integrated Cardio Theatre to give you the ultimate workout experience. It also has large buttons for easy use and 10 pre-set programs including a fitness test program. If you want to hit a variety of muscle groups during your workout, the EFX 546 V1 has 20 resistance levels and 20 incline levels to work muscle groups in an almost endless number of combinations. 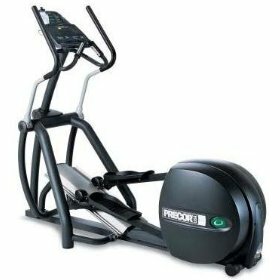 Deciding on which precor elliptical machine can be a challenge. Do you want moving handlebars to target the whole body (like the 556i) or the incline adjustment to focus on your glutes an hamstrings (like the 546i)? Good News is you can get both (like the 576i)! 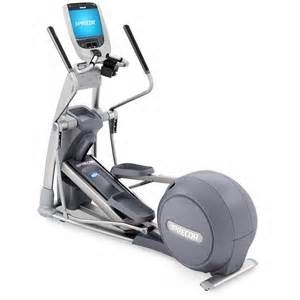 GymPros carries front and rear drive ellipticals for the lowest price possible. 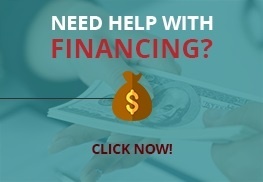 Contact us for the best deals on Precor, Life Fitness, Star Trac and more!